← Hello Sweeties! Alex Kingston To Return for the Doctor Who Christmas Special on BBC AMERICA! 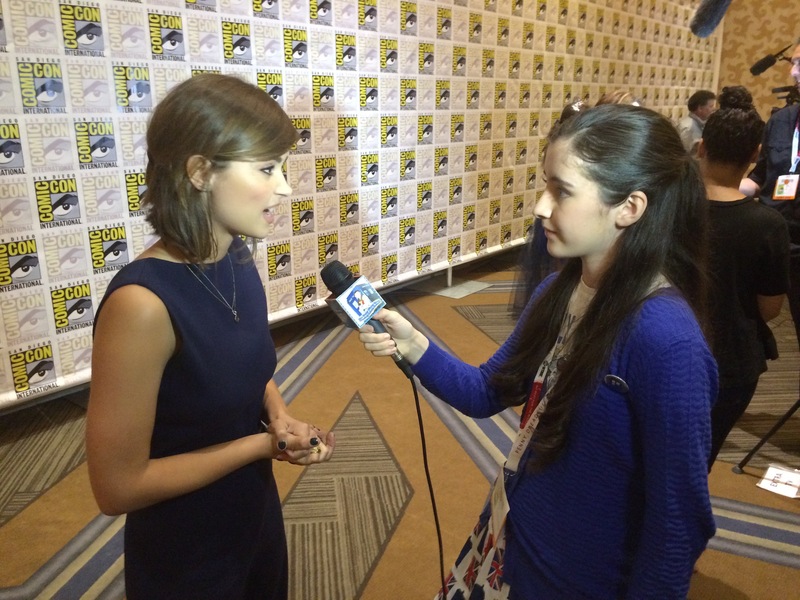 It was a dream come true for young Whovian, Juliette Boland, when she found herself on the red carpet interviewing the cast of her favorite television series, Doctor Who. 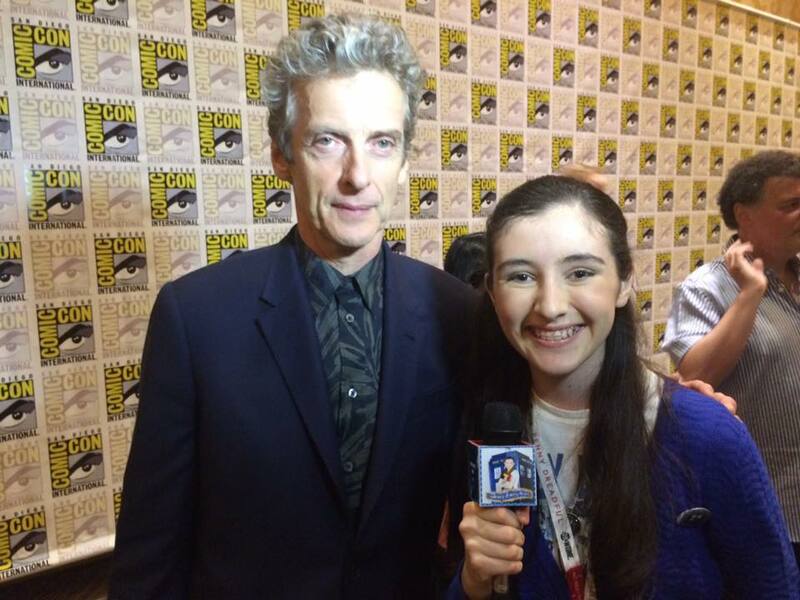 Just days before her 13th birthday, Juliette, host of the new YouTube web-series The Timey Wimey Show , joined BBC America’s Doctor Who press line at San Diego Comic Con 2015 and was suddenly immersed in conversation with the 12th Doctor himself! And, what did the young Whovian ask the Time Lord? 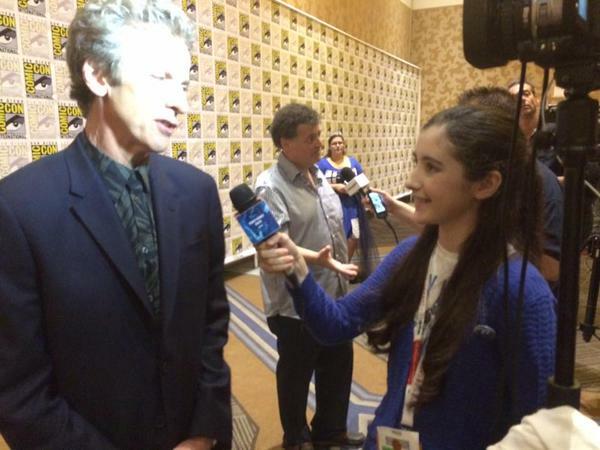 “I wanted to know, if he could work with any past Doctor…who would it be?” And his answer? 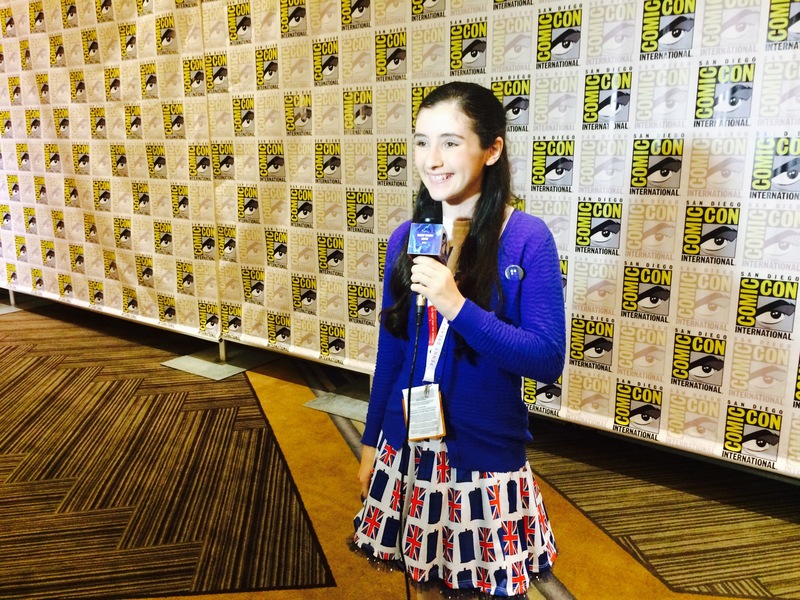 “You’ll have to watch The Timey Wimey Show to find out!” smiles the savvy Jr. reporter! 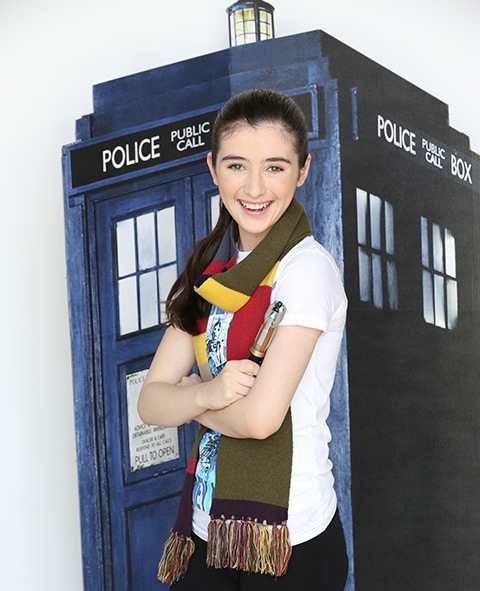 A Doctor Who fan of the new generation, Juliette says she started watching the series during David Tennant‘s tenure and loved the show so much she went back and binge watched every episode she could find from the “new Who” and even some Classic Doctor Who. 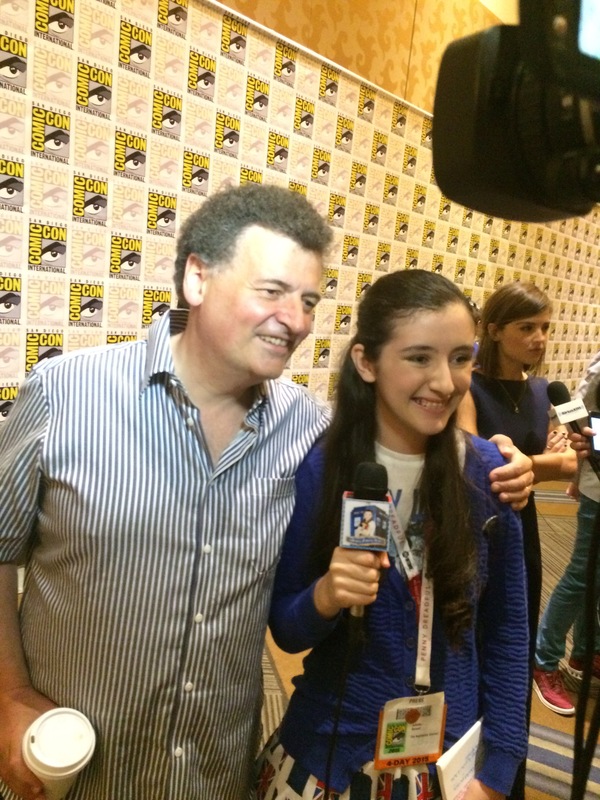 Show-runner and Writer of Doctor Who, Stephen Moffat…Juliette’s favorite writer in television! That’s as normal as things get for this young LA talent who, we have no doubt, will go on to achieve whatever goals she sets her mind to…even if it’s interviewing David Tennant! We wish her all the best of luck! 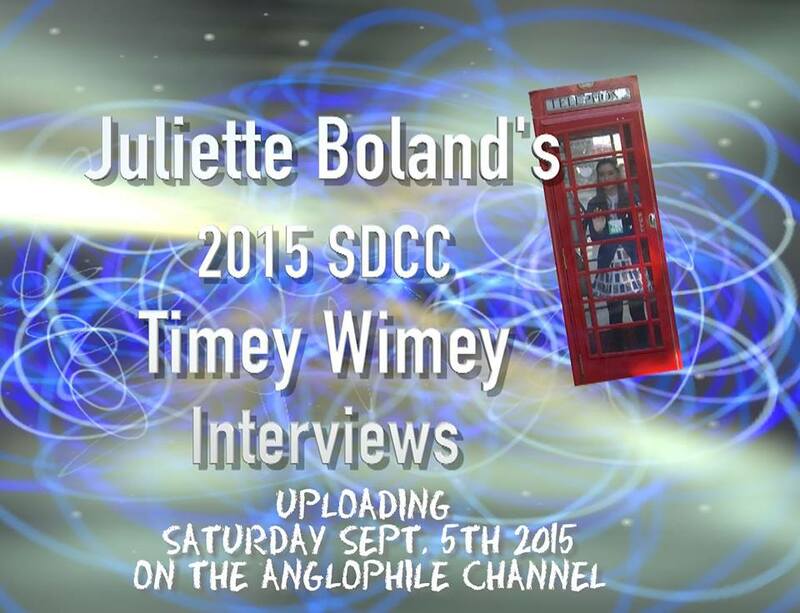 The Timey Wimey Show is seen exclusively on The Anglophile Channel on YouTube. 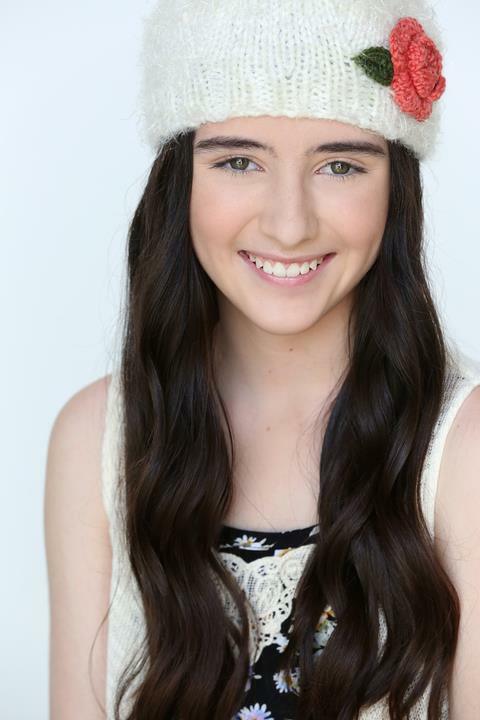 Juliette is repped by Twelve Oaks Entertainment Management. This entry was posted in British Telly, Juliette's Timey Wimey Fandom Blog and tagged BBC, BBC America, Doctor Who, Jenna Coleman, Michelle Gomez, Peter Capaldi, Stephen Moffat. Bookmark the permalink.